Private Taxi From Hue To Hoi An is the perfect choice for an exciting transfer day trip from Hue to Hoian. 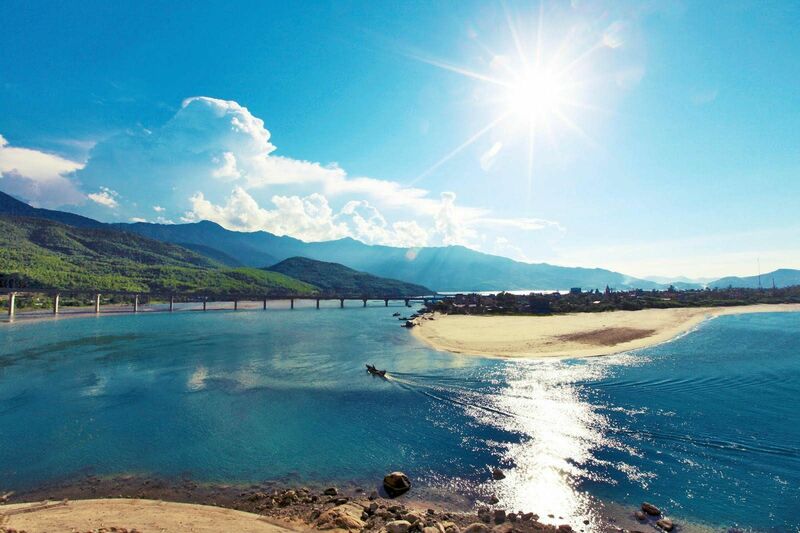 With Taxi Danang Airport private car transfer service, we can visit anywhere on the way transferring from Hue to Hoi An. Especially, We will create the best condition for visiting lots of interesting tourist attractions on the way from Hue to Hoi An. We ensure that your itinerary will be more fascinating. Plus time for stop on the way totally it will take around 5 – 6 hours depending on your time of visiting. Taxi Danang Airport driver will pick you up at the hotel lobby in Hue. Depart to Hoi An, starting Private Taxi From Hue to Hoi An. We would like to suggest the pick-up time from Hue is at 09:00am and arrive in Hoi An around at 03:00pm. 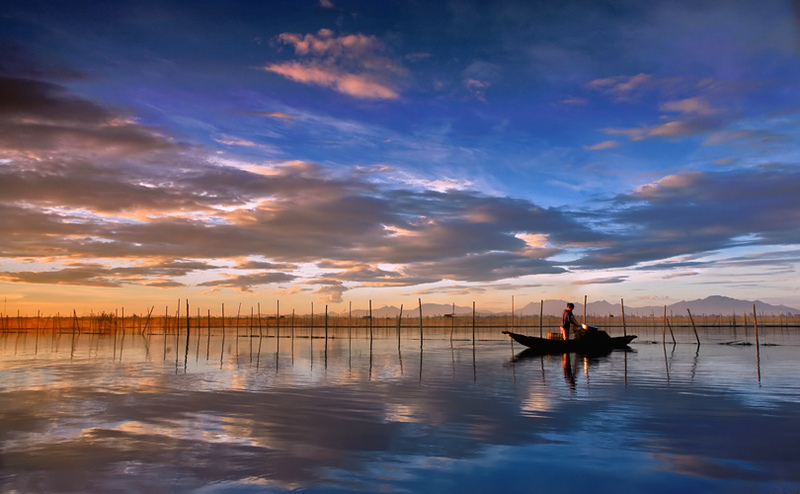 Firstly, we will stop to visit Cau Hai Lagoon – Tam Giang Lagoon. This lagoon system spans over 70km, making it the largest in all of Southeast Asia. Giving you the beautiful scenery to take some photographs. You should visit within 20 minutes for this point. Hai Van Pass – Sea Cloudy Pass is the next attraction where is well known as one of the most spectacular view. There are some US bunkers on top of the pass. And don’t forget to enjoy a cup of hot coffee in here while stopping for rest at the cafeteria on this pass. The time for visiting is 30 minutes. In the winter, you can see the cloud climb over the mountain ranges. Especially, you can use your hand to touch the cloud. 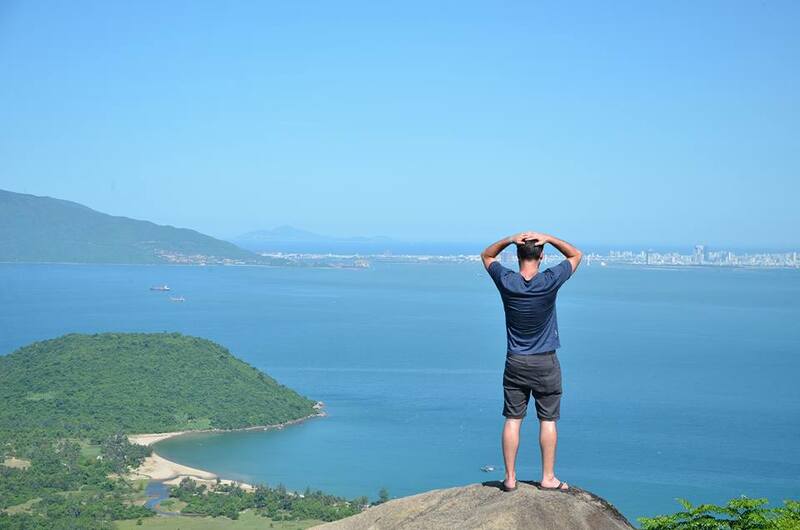 Don’t forget to take a panorama view of Da Nang City from 500m high above the sea level. After enjoying the gorgeous natural scenery. We will visit an cultural attraction in Da Nang is Cham Museum where displays antiquities of Champa civilization. Cham Museum opens from 7 am to 5 pm, the time for visiting of our trip is about 45 minutes. The world of Hinduism God will open in front of your eyes. 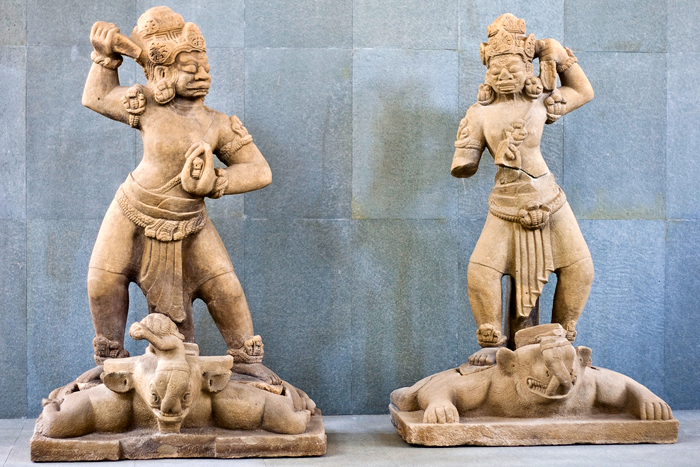 Let’s admire all wonderful sculpture artifacts of Cham People. 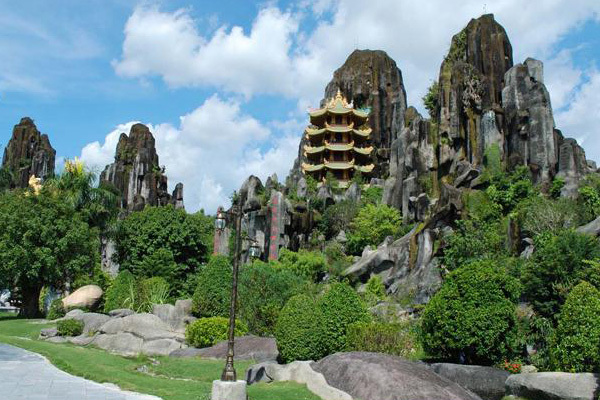 Continuing to visit Marble Mountains – The beautiful scenery with 5 mountains limestone with sacred pagodas, remnants of the Champa civilization, caves inside for spiritual retreat and pilgrimage. Then buying some wonderful sculptures made by marble stone at Stone Carving Village under mountain. This opens from 7 am to 5 pm, so which our trip you should visit with estimated time is 90 minutes.